Apologies to everyone reading this, but I think I’ve been testing the wrong car. 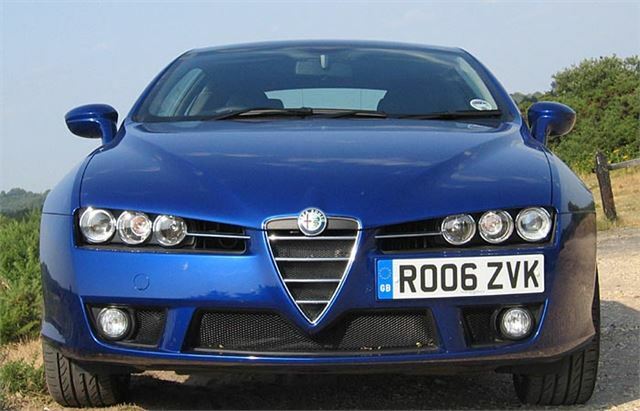 The front-drive Alfa 159 1.9JTDM is beautifully balanced. The front-drive 159 2.4JTDM is 33% more powerful yet still works well. The four wheel drive Alfa 159 3.2 Q4 was a disappointment, but colleagues tell me that with the 7 inch shorter wheelbase of the Alfa Brera the 3.2 Q4 mechanicals work brilliantly. 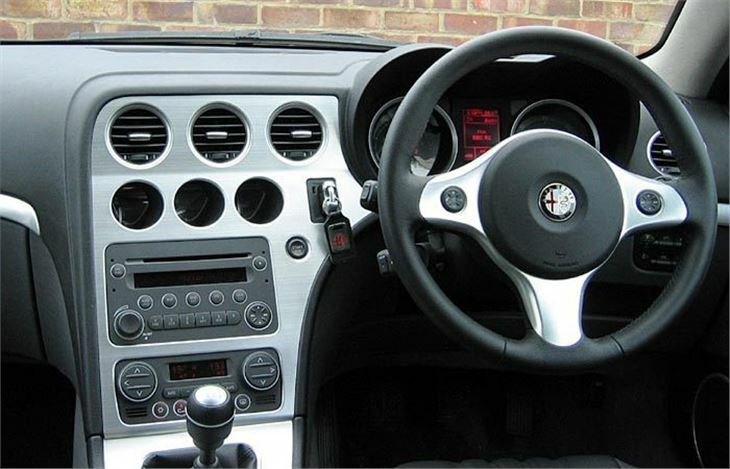 My mistake was to borrow the front-drive Brera 2.4JTDM. It’s another Giorgetto Giugiaro car, like my the 105 Series GT Junior I ran in the 1970s, originally conceived as a showcar, but one that made it through to production. It’s certainly a stunner, though not from every angle because of the relatively short wheelbase and the heavy overhangs, particularly at the front. 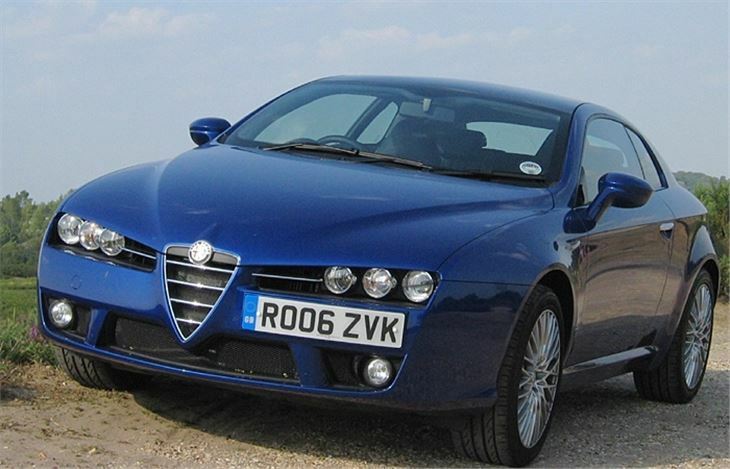 I think that’s what makes the front-drive Brera less of an exquisite drive than the 159. And why it comes to life with four-wheel-drive in the manner of the short wheelbase Audi quattro turbo that Hannu Mikkola was so effective in. 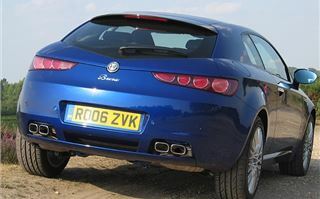 The Brera is nominally a four seater, but at a mere 5’ 9” I cannot sit behind myself, and I’d warn anyone leaning in to strap child seats into the ISOFIX fittings to watch their backs. With the rear seats up there’s a decent size 300 litre hole for luggage, though, and that grows to 610 litres to windowsill height with the seats flopped forwards. The seats have electrically reclining backrests but every other adjustment is manual. After a bit of wriggling around I got comfortable. The door mirrors are very good. It’s surprisingly easy to reverse park. The gearchange is excellent. 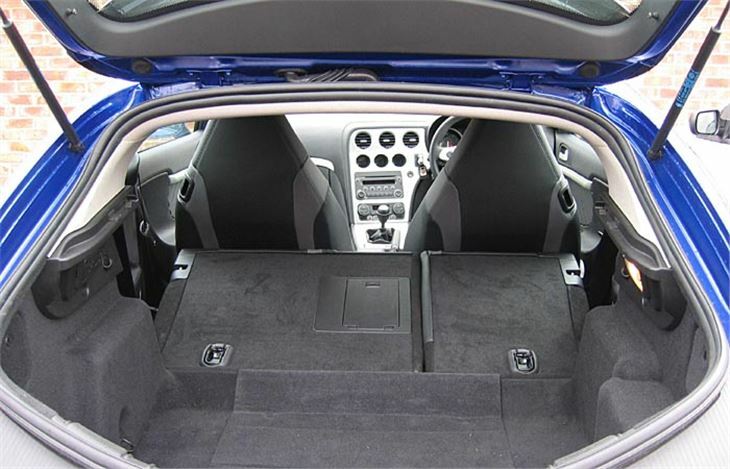 But you cannot adjust the driver’s lumbar support without opening the door. And since the time you will want to adjust it is when you start to get an ache on the motorway, that’s a real pain in the back. The torque seems to come in later than in the 159. 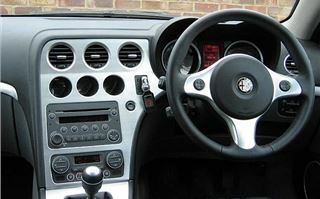 And probably because of the enormous wallop when it does arrive the throttle sensor is heavily damped, preventing you from making super-quick gearchanges that might have broken the box or snapped a driveshaft. The cruise control is very good, allowing you to make fine adjustments to get it spot on through the roadworks. On optional 18” wheels with 235/45 tyres it sends shicers down your spine over speed cushions, and tramlines when braking on uneven surfaces. 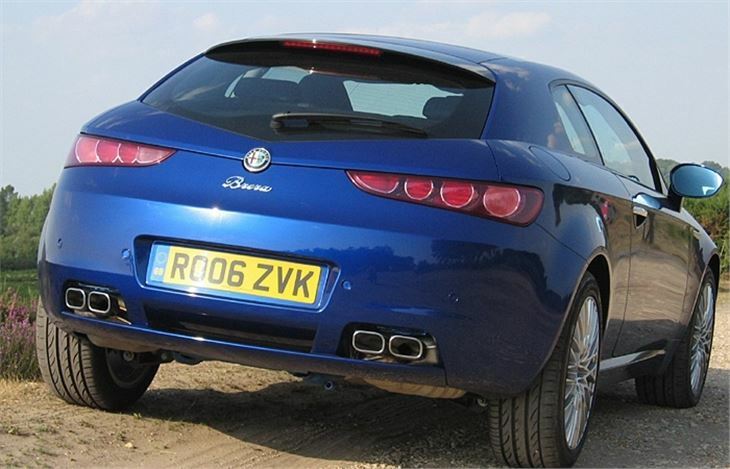 Those tyres grip like grim death around roundabouts with zero understeer, but the Brera isn’t a natural fine handler like the 159. You’re always aware of the mass of car in front of the front wheels and the short wheelbase. On the days I had the car I also drove a Golf 1.4 TSI 170, a Golf 2.0 TDI 170, a Superchipped Focus ST with 256PS and a Superchipped Audi A4 2.0 TDI Avant with 185PS, a Leon 2.0 TFSI 200 FR and an Ibiza 1.8T 150 FR. Apart from the A4, all of them felt more agile turning into and pulling out of corners. It’s odd to think that the Germans have got their Golfs to handle better than the Italians have managed with an Alfa Romeo coupe. So I’m a bit stymied here. 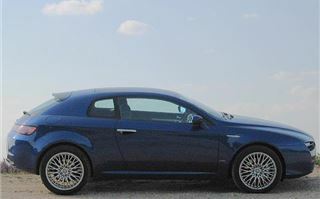 The Brera is a car I love the look of and really wanted to like. But it didn’t move me the way an Alfa 159 1.9JTDM had six weeks previously. And in view of the 32.39mpg – 34.63mpg I got driving fairly sedately I didn’t even enjoy the diesel benefit. I was thinking I should have asked for the 3.2 Q4 that big Mike and the German motoring press have been raving about. That the 2.4JTDM was a mistake. Then something happened. I had to do an airport run at 5.30 in the morning. Instead of sitting baking in the 40 degree heatwave we've been suffering from, the car had been sleeping in 15 degrees, covered in dew. The asphalt on the roads wasn’t melted. There was hardly any traffic. 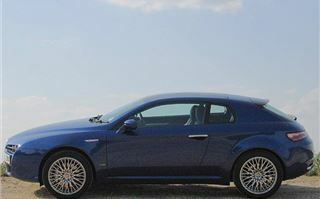 And the Brera came to life. Rather than lumping its way round corners it was gripping like a terrier. The tyres were putting all of that 200PS and 400Nm torque onto the road. The steering developed so much feel it was actually heavy, demanding respect. The car became an Alfa Romeo. So some of its faults (including the seatbelt retractor) were probably due to the excessive heat of the test week. A cold weather Alfa. That’s something new.